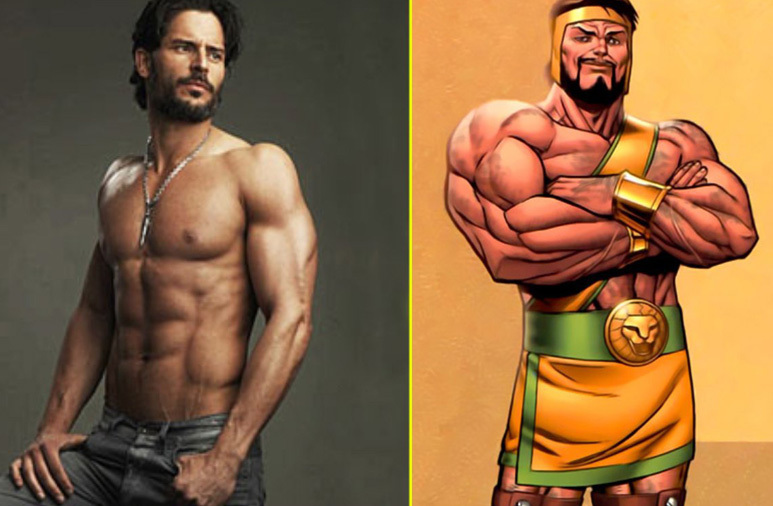 I don't watch TRUE BLOOD so I don't know who Joe Manganiello is but I've seen his photos on them interwebs and when I saw one of said photos I briefly thought: Hey Hercules. Funny enough, I've seen 4 different blogs (one example here) which mentioned how much they'd love to see him as HERCULES (comic version or new version, I dunno). The one thing that's important in casting Hercules is that the actor has to look great with a beard and Joe's beard sure does look authentic there. No one will ever top Steve Reeves as Hercules but if done properly Joe would be pretty cool as the son of Zeus. Even if he never plays Hercules, he'd still look at home in any PEPLUM flick.